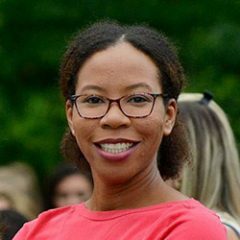 Lerone joined the staff of Spencerville Church in February of 2017 as the Associate Pastor for Children and Middle School. Originally from the island of Jamaica, Lerone immigrated to Florida with her family in 1995. Following her graduation from Columbia University in New York, she relocated to Silver Spring to work as a Legislative Fellow with the North American Religious Liberty Association. She holds a Masters degree in Social-Organizational Psychology from Teachers College at Columbia University. Lerone lives in Columbia, Maryland with her husband, Murray.